In the construction of any website, you should pick carefully between the best web hosting plans. This is especially important when considering the ease of use and price point for beginners! Different plans have different options, features and pricing. Picking the best one for your needs is an important step towards your website goals. Whether you are building a static website to promote a brick and mortar business, a blogging type website for Affiliate marketing or any option between, picking between the best web hosting plans is an essential part of your business plan! I have looked at several and have experience with what I truly believe to be the top 2. When I was looking for the best plan in the arena of website hosting platforms, my biggest concern was reliability and up time! Not to say that other issues weren’t as important. But the reliability and up time of your site is of paramount importance to your business and communication to potential customers on the internet! I really wanted a plan that offered premium site monitoring so that the health of my site was always at the forefront of my relationship with the service [provider and their platform! And if there is an issue with my site, I wanted to have 24/7 support to get the issue cleared up as soon as possible and eliminate as much down time as possible in the event of a failure. These criteria alone narrows the field quite dramatically to say the least! In fact the field was narrowed down to 2 services that were cut in stone and 1 that was kind of sketchy in their attempts to reassure me of quality of site monitoring and 24/7 support. The two that were left standing were Blue Host and the SiteRubix platform . Bluehost offers great options for hosting, Their platform is pretty straight forward and simple to a degree. The one major drawback is the advertising price and what you pay. The advertised price of $2.95 per month is based on a 1 time yearly payment. And after adding the essentials to that plan like SSL, SEO tool start, Code Guard basic, Domain privacy protection, and sitelock protection the hosting price of $59.40 per year becomes a total price of $206.91 per year. The price is fair and the hosting at Bluehost is really good. And if that is the platform that fits your needs you can get some great value for your money with the Bluehost platform. Especially if you are only planning 1 site. I just feel that it is a little more complex, has issues with site support and doesn’t have the user friendly value and other included options that is included inside the SiteRubix service ! When weighing the options, cost and overall bang for the buck, it’s my absolute opinion that SiteRubix is the better hosting plan! Let me explain why. My first impression of Blue Host has me very high on it, except for the Support menu. When you click that menu the drop down has two choices. Self Help and Ticket history. As I stated above one of my main requirements is site health and Support. I’m not really interested in filling out an automated Support ticket and waiting for someone to get back to me at some point! The second choice in the drop down is “self-help” and to be honest I believe that if I had created the layout for that site I would have named it something else. Self help just sounds like a brush off, like telling someone to fix it your self ! For people who are above average in their website and hosting capabilities these options may be fine and I’m sure they are! But I started as a complete novice and had no experience at all. And since my website is No Web Experience that is the idea I stay true to. And Training and teaching people how make money website within Wealthy Affiliate! 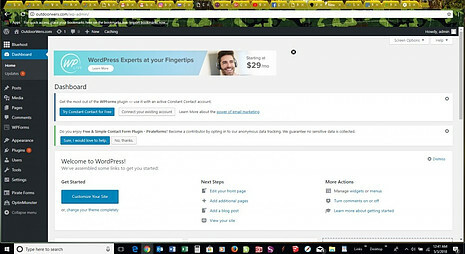 I bought a year deal at Bluehost, and when I got stuck I changed gears and joined Wealthy Affiliate as a free membership signee. After a few days I saw the awesome value and plethora of resources and training materials that make the experience of building an online business so much easier! Then I checked into the premium membership and it was a tremendous value at only $49 per month ! I couldn’t believe it, and obviously signed up! Since joining Wealthy Affiliate I have built 2 websites and both are growing and I’m starting to generate revenue! I still have the Blue Host account that I set up. But it will sit static until it expires I suppose. 2 very good options with one clear winner! The most obvious value and what is a show stopper when comparing the 2 is quite simple! The cost of Bluehost is based on 1 site, and each site increases that amount. The SiteRubix platform at Wealthy Affiliate gives you the option of creating and hosting 50 websites ! That alone is simply untouchable by any platform in the industry! Let me say that again! 50 WEBSITES! If you are interested in building an online business where you will never need to worry about multiple hosting contracts and back offices, SiteRubix and Wealthy Affiliate are the only option that makes sense in my opinion! I truly believe that either of these options for website hosting are very good choices ! 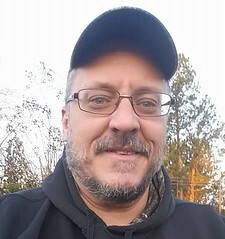 But when you consider the tremendous value that is offered in the SiteRubix platform at Wealthy Affiliate, there is just simply no comparison for someone who is starting out with no web design experience, or someone who wants to scale their site and business by leveraging the awesome amount of training, webinars, and support at Wealthy Affiliate with the tools and services offered within the SiteRubix platform. If you aen’t concerned with anything but the pure hosting at Bluehost, it’s hard to beat! But the added features listed above of the SiteRubix platform makes this a slam dunk choice in my opinion ! I floundered with my efforts to create an online business and never even got the site off the ground with my first attempt using the Bluehost platform. Someone with experience in web design and online business may very well thrive with the services at Blue Host! There are quite a few people using it and happy with it. But I believe (based on experience) that they are happy with Blue Host only because they have not experienced the hosting, tools, training, and community at Wealthy Affiliate using the Site Rubix platform ! Conclusion- SiteRubix is the better option for everyone from a beginner to seasoned vet! We have talked about what I think to be the 2 best hosting platforms for building and hosting a website. I have both accounts, so I feel that I am qualified to explain the differences between the two. My honest opinion is that the SiteRubix platform is by far the best platform based on the fact that you are able to start with a SiteRbix domain and build a free website. But then by going premium at the cost of $49 per month you get all the training and tools needed to start from zero to hero in online business without ever leaving this platform. If I were starting a new online business, or Building a website to promote a brick and mortar business I would not hesitate for one second at a SiteRubix hosting plan at Wealthy affiliate ! Thanks a lot for reading! If you have comments or questions please leave them below and I will get back to you A.S.A.P. ! Next Post:Survey Junkie, Take Online Surveys For Cash- Scam or Legit? Hosting is one of the most important thing when setting up your website. There are a lot of providers out there which are free or the fees are low. A beginner easily looks only the costs and choose a free version. This is in the most cases a big mistake. The crucial things like website security and the loading time of the site doesn’t work as they should. You get stucked and can’t go forward. In this article I liked the way to point out how important is the reliability of the hosting in all aspects. High-class 24/7/365 support is what is needed to build and develop a functional website. Very valuably is to notice ,that you can find hosting providers that offers other services, actually all the training and tools needed to start and carry on your own online business in the same price that you have to pay if you want to get your website hosted. I don’t mind Bluehost and they do have some great hosting deals and cheap prices, but one of the platform’s major flaws (and the biggest complaints of users) is their lack of support. They really should do something about that. The Wealthy Affiliate option you recommend does look good, but $49 is a high price to pay if all you’re after is hosting and not interested in the training they have there. It sounds like the better option if you want to take advantage of everything else on the platform, as hosting is obviously just one part of the bigger picture, but just for hosting alone I wouldn’t do it. Even if you don’t use the Wealthy Affiliate training and affiliate marketing platform it is still the best choice as far as value goes! When you consider the full tool box with things such as Jaaxy, it’s the better value. But one place Blue Host will never touch the Site Rubix platform at Wealthy Affiliate is the fact that you can create and host 50 websites on Wealthy Affiliate for 1 price of $49 per month. You have to pay for each site with Bluehost. So if you were to create 5 websites with Bluehost and break it down to a monthly payment the cost would be $148 per month for 5 sites. I have been using bluehost for a good while now and I thought it was time to look for some other hosting to see what is out there and I have to say I am glad I had such a thought. Siterubix surely has better features than bluehost and other hosting companies out there and I am surely going for their hosting. It seems pretty convenient and strong. Mike, I too have looked at Bluehost. I don’t belong but did a full search before deciding this wasn’t for me. Lots of it looks great but the comments I read re the help were quite negative. I see you feel the same way. I did discover though, that their YouTube channel has some pretty good help videos if you have the time to wade through and watch them. 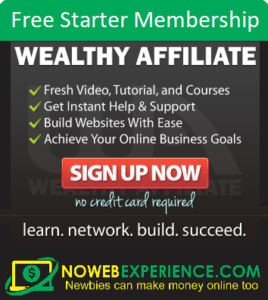 With Wealthy Affiliate I am a bit confused about the 50 SiteRubix websites. That seems like a lot. Also, after reading about WA I see you get a trial run with some free lessons. This allows 2 SiteRubix websites. I guess you have to upgrade to reach the full allowable number. You have given your visitors a good review of these two hosting sites. Thank you kindly for the great comparison between two very well know web hosting companies and options it is really appreciated. I do have a few questions though, how did the two compare performance wise? site load time. site speed? – a very important issue in regards to hosting!. Very nice written post about best hosting platforms. I am almost 7 months old in Wealthy Affiliate. Before joining here I went through so many long youtube tutorials about step by step method of creating a blog. 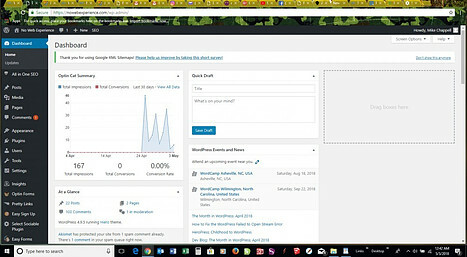 I was about to join Hostgator and fortunately or accidentally I came across a post about Wealthy Affiliate and signed up. Then within 2 weeks, I became premier and at the moment I have 2 websites growing on this awesome platform. Here through this post, I came to know something about Blue host as well. I love Wealthy Affiliate. Thanks Mike, I really loved and Enjoyed this wonderful Hosting Plan Review because it is organized and we’ll written. I normally use Namecheap to Host my sites but the storage space is not as large as the one given by Siterubix. Also their Hosting price is not Compromised as Siterubix. Thanks once again. I saw this comparison and I really felt I had to contribute and share my experience. I have been used both the platforms to host my websites. I started out with Bluehost and then SiteRubix, and I would like to encourage folks to use SiteRubix since it has the best features you’d ever want, especially their support. 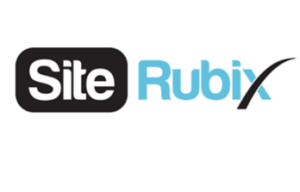 Having used site Rubix as well, I can testify that it is an amazing platform to host all host all your website on. Like you said, I think having nearly instant support alone is worth the money — as they know how to fix anh problem you have very fast. Also it is very fast, which is great if you are trying to rank in google and other search engines. Thanks for your comment! I love the SiteRubix Platform and suggest it to everyone I meet who is starting a new website ! If you have any other questions or comments, I would love to hear from you ! I think that it depends upon what you are trying to do. I used SiteRubix to create my blog and it was a good start since it was free. However, I think that Blue Host would be better for other situations. For example, at one point, I was thinking about creating a website with social media. SiteRubix had clear limitations. It doesn’t support social media plugins (though some would say that social media plugins are bad news) and it does not have the capacity to expand like Blue Host. So, I think that SiteRubix is a great choice if you have a blog but has some limitations if you want to get fancy. SiteRubix is one of the most powerful hosting platforms online, as well as much different than Bluehost in many ways . But to name just a few, When you host a website through Bluehost they claim in their advertising that it only cost $2.97, but when you add SSL and the other imperitive things you need just to get a website live it comes to $73 per year.And that is nothing fancy or special, it’s bare bones. Now the SiteRubix platform at Wealthy Affiliate has all the premium features that you would find at Bluehost plus more. And a Wealthy Affiliate membership with all inclusive SiteRubix hosting is $49 per month…..for 50 websites! 1 website with the hosting equivalent at Bluehost is $174 per year. If yoiu have any more comments or questions feel free to leave them below and I’ll get back to you as soon as possible. I appreciate it!